New 2010 Gucci Sunglasses. 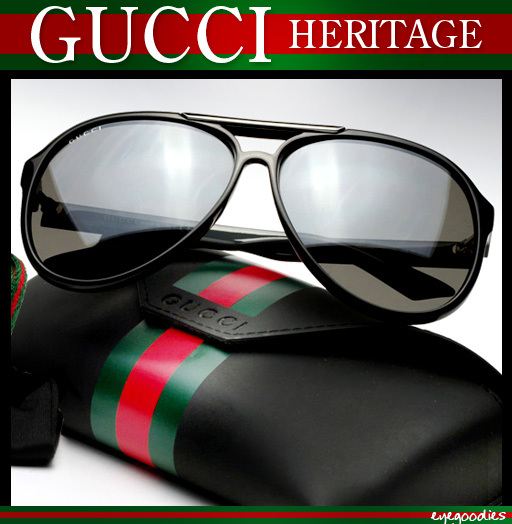 Gucci reached back in their heritage to release three sunglasses sure to be classics. The new Gucci 1627/S, 1622/S, and 3108/S all feature the vintage Gucci striped web and “G” on both temples and complete the theme with a special edition case and carrying pouch. Available in multiple classic color combinations, they bring back that jet set Gucci charm we just don’t see enough of these days. These Gucci sunglasses have been flying off the shelves as even the manufacturer is sold through, so be sure to add a pair to your collection while it’s not too late. 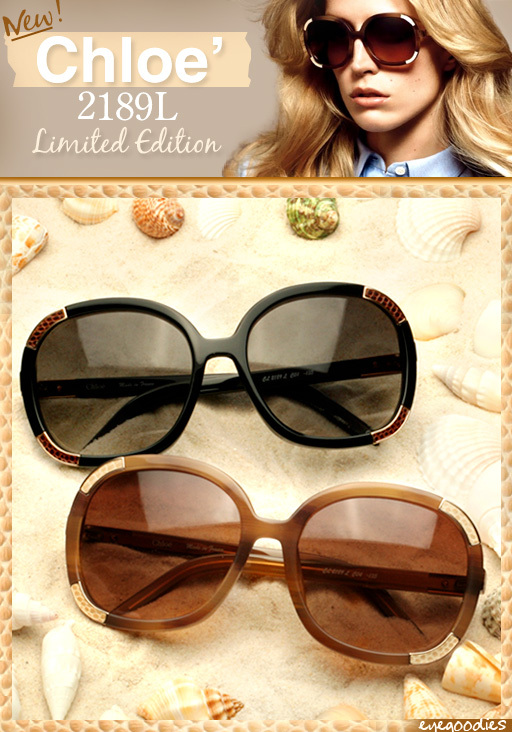 The new Chloe 2189L Limited Edition sunglasses have just arrived. Released for one limited run Chloe puts a special twist on their all popular 2189 model. The Chloe 2189L made in France of nice firm acetate features genuine leather accents on the corners and temples and is topped off with a special edition matching snake skin embossed case. Fitting almost everyone who tries them on perfectly, they make the perfect summer accessory. They are also the sunglasses featured in the 2010 Chloe ad campaigns. Super W Black, Flat Top Matte Black, and Flat Top Black are restocked! 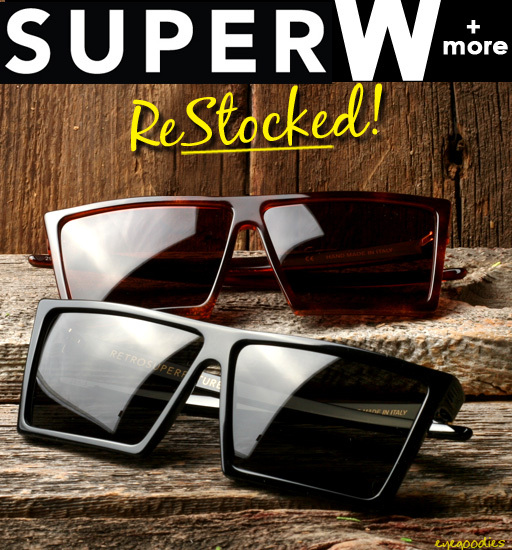 Our initial Spring Summer 2010 shipment of Super W Black sunglasses quickly flew off the shelves and out of stock. Even the manufacturer sold out, only fueling the hype and making the much anticipated restock all the more sweet. All our pre-orders are being filled and we will have some nice stock left, but who knows for how long. So get them while you can. The Super Spring Summer 2010 Sunglasses Collection has arrived. Just when you think they can’t surprise you, Super once again delivers a unique fashion forward collection unlike anyone else. Back are classic staples such as the Basic shape and Flat Top available in: black, matte black, havana glitter and the francis series. Also back just in time for the summer are the pop neon color basics. New this season the collection adds pieces that are sophisticated, refined and fresh. 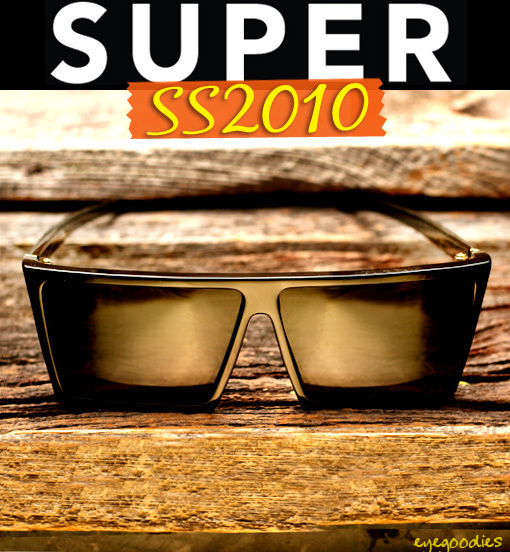 The new 2010 lineup of sunglasses represent the brands name, RETRO SUPER FUTURE, to a ‘T'; part retro, part future, all SUPER. 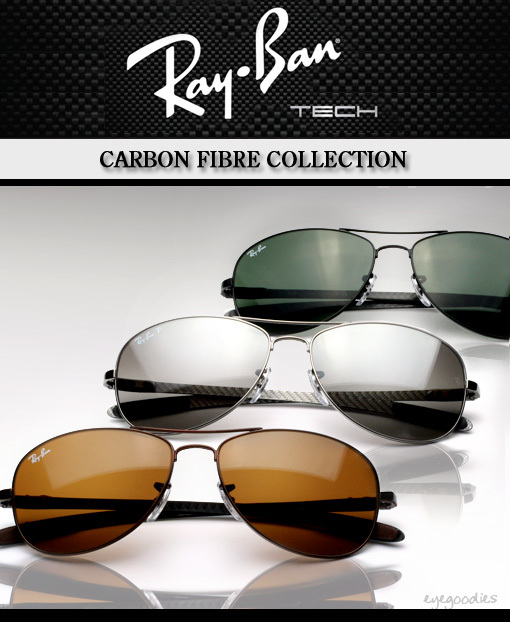 Ray Ban Tech Carbon Fiber ( Fibre ) Sunglasses now available. Ray Ban continues to expand its use of materials this season. First they introduced the Ray Ban Craft Collection which used genuine leather accents, now in perfect timing for summer they release the Ray Ban Carbon Fibre Collection from their Tech department. The new collection features sunglasses which are composed of carbon fiber and a resin composite which creates a lightweight, strong, flexible, and resilient material. Carbon fiber is used on everything from race cars and airplanes to the space shuttle. It’s not only strong (often stronger than steel), but also extremely light weight.